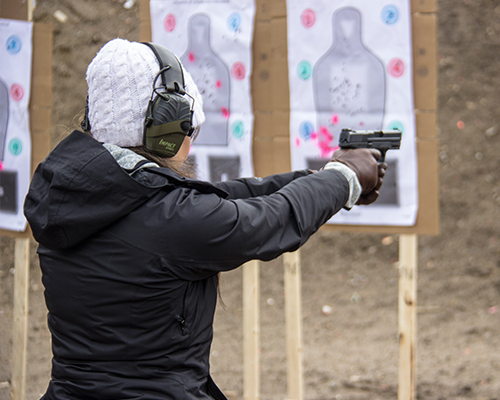 So you’ve chosen a handgun for self defense, the range, competition, or recreational use. Now learn how to use it! Learn the Shooting Basics – the Importance of Proper Grip, Sight Alignment, Sight Picture, Stance, Trigger Control and Follow Through. Learn how to properly present the gun from the holster and safely return it there. Learn about different types of accessories and equipment necessary for your firearm. Learn proper loading and unloading techniques, as well as different shooting positions, and engaging multiple targets. Finally, you will learn about proper cleaning and maintenance of your firearm.